Find luxurious Kihei condos for sale here. The condos at Maui Kamaole are located in South Kihei across the street from Kamaole Beach Park III. Close to everything, you are within walking distance to the beach, restaurants, activities and shopping. There are two beautiful private pools here surrounded by tropical flowers and trees to really give you some privacy and that cozy island feel. If you are looking to settle in right by the beach in Kihei, the condos at Hale Kamaole would be the perfect place for you. It's located across from Kamaole Beach Park III and close to everything you need including shopping, restaurants, activities and more. You can wake in the morning to the sound of the Minahs and go for a jog or a nice snorkel. The landscape is very green, lush, tropical as well as peaceful. If there are condos for sale here, Hale Kamaole offers both 1 bedroom and 2 bedroom condo units. One of South Kihei's premier properties. There are always several condos for sale here at Kam Sands. Resting on 15 acres of tropical landscape, the Kamaole Sands condos sit across from Kamaole Beach III. You can walk to the beach, the grocery store or many of the popular restaurants located in Kihei. The town of Kihei has something to offer everyone. The Ke Alii Ocean Villas are within short walking distance of dining, grocery shopping, beaches and other activities. Being so close to the Kamaole Beach parks, you really have it made. These beaches are great for swimming, walking, snorkeling and relaxing. Located in the heart of Kihei, the Island Surf is central to it all. You can walk across the street and go surfing, stand up paddle, snorkel, jogging or a nice bike ride through town or along the boardwalk. Island Surf is conveniently located near restaurants, grocery stores, shopping and other activities. Every unit has an ocean view and there is a secluded pool as well as a bbq area to enjoy. There usually aren't very many condos for sale here, but when there are, they usually sell fast. Haleakala Shores is located in Kihei across the street from Kamaole Beach Park III. Close to everything, you are within walking distance to the beach, restaurants, activities and shopping. There is a beautiful private pool here surrounded by tropical flowers and trees to really give you some privacy and that cozy island feel. Hale Pau Hana condos rest right on the beach sandwiched between at Kamaole Beach 1 & 2 offering the ultimate Hawaiian island experience. Every condo here has an ocean view and is just a very short walk from the sandy beach perfect for jogging, swimming, snorkeling & sun bathing. If you don't feel like leaving the grounds you can take a dip in the pool and still have a panoramic view of the Pacific Ocean right in front of you. 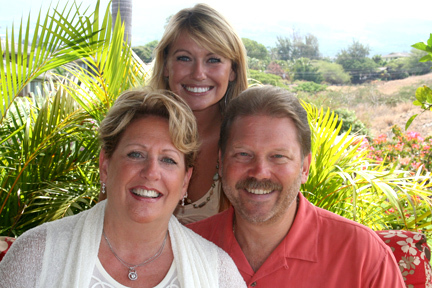 Kamaole Nalu offers condos that are oceanfront located in South Maui right on Kamaole Beach 2. Nestled away from all of the business of the city, but still close enough for grocery shopping and restaurants. Being right on the beach, this is a wonderful place to be during whale season. You can relax on your own private lanai and watch them in their natural habitat. Located in South Kihei, the Kihei Surfside building is just a few steps away from Keawakapu Beach and right next to the Mana Kai. Also within walking distance of some fantastic restaurants including Sarento's and Five Palms. Resting in a very beautiful setting and close to shopping, golfing, tennis and more. The condos for sale here are pricey but well worth it. Kihei Kai Nani is located in Kihei across the street from Kamaole Beach Park III. Close to everything, you are within walking distance to the beach, restaurants, activities and shopping. There is a beautiful private pool here surrounded by tropical flowers and trees to really give you some privacy and that cozy island feel. The condos at the Mana Kai face south towards Wailea and Makena. The building is located oceanfront on the famous Keawakapu beach which is about a mile long in length. There is a beautiful pool that separates the condos from the beach so while you are swimming, you get gorgeous ocean views. At the bottom of the building you will find the Five Palms restaurant, an activity center, surf shop, and a little grocery store. You really don't have to go far if you are looking for something to fill your day with. Maui Banyan is located in the heart of Kihei town which puts you close to shopping, dining, activities and beaches. This complex is named after one of the most gorgeous trees in Hawaii called the Banyan Tree. Right across the street from Maui Kamaole Beach II, one of the best and most popular beaches in town. The grounds have you surrouned by banyan trees and beautiful manicured lawns. There is a tennis court, swimming pool, hot tub and bbq area for everyone to enjoy! Maui Hill is located on a tropical setting that overlooks the beautiful Pacific Ocean. All of the condos are very spacious the complex is two stories with 3 bedroom condos. No matter which condo you are in, you will have a tropical garden view or an ocean view. The Maui Parkshore condominiums are located in South Kihei across the street from Kamaole Beach Park III. Close to everything, you are within walking distance to the beach, restaurants, activities and shopping. There is a beautiful private pool here surrounded by tropical flowers and trees to really give you some privacy and that cozy island feel. Nu'u Aina Estates is located in Kihei across the street from Kamaole Beach Park III. Close to everything, you are within walking distance to the beach, restaurants, activities and shopping. There is a beautiful private pool here surrounded by tropical flowers and trees to really give you some privacy and that cozy island feel. High end Kihei condo real estate. The Royal Mauian is located in South Kihei across the street from Kamaole Beach Park III. Close to everything, you are within walking distance to the beach, restaurants, activities and shopping. There is a beautiful private pool here surrounded by tropical flowers and trees to really give you some privacy and that cozy island feel. Climate: Arid - Receives no more than 10 inches of rain per year. Thinking of Moving to Maui? Consider Kihei, a small family friendly city on the southern part of the island. 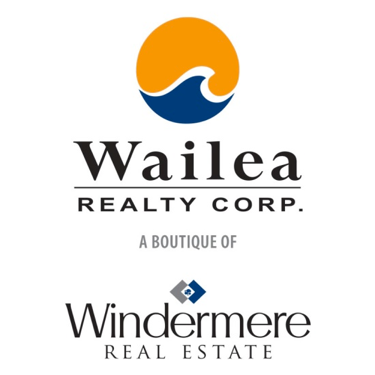 Kihei's location is super convenient because of it's proximity to Kahalui, Wailuku, Lahaina, Wailea or Makena ~ all of which you can drive to in 20 minutes or less. Over the years, Kihei has become a popular destination to retire, raise a family, or take a vacation for a reason - breath taking sunsets, the best weather on the planet and the town boasts the most swimmable beaches in all of Hawaii. In Kihei, you will find that there is never a dull moment as the options for entertainment or relaxation are endless! You can make a day out of fishing, snorkeling, scuba diving, surfing, kayaking, golfing or shopping at the shops along Kihei Road. When you're done top it off with some fantastic happy hours at the best restaurants in Kihei including Rita's, Stella Blues, Threes or the Five Palms restaurant at the Mana Kai. Just right down the way is Wailea, with luxury resorts, and the Shops at Wailea if that's more up your alley. Kihei is known for it's year round warm weather with sporadic yet small bouts of Hawaii rain that keep the tropical foliage looking beautiful and green. The heat can be a bit extreme at times when the trade winds stop so luckily there is a beach to swim at pretty much every other mile or so. Postcard Views. One of the best things about this town is the view you get from anywhere you are. If you look out towards the water, you can see Kaho'olawe, Lana'i and West Maui which is where Puamana, Lahaina and Ka'anapali are located. From almost any condo in Kihei if you take a look to the upcountry you will see the majestic West Maui mountains. It almost appears to be another island on it's own. The main road in Kihei guides you along the shoreline for beautiful views while driving, riding your bike, scooter or walking. There are many spots to pull over off of Kihei Road, park and take a dip in the warm water or go for a snorkel with the sea turtles and trumpet fish. Towards the North end of town, you will find the Wildlife Conservation and the Kelia Pond. This area is home to the Hawaiian Stilt bird and Coots and you can watch them in their natural habitat. Make Hawaii your new home. Kihei offers luxurious condos for sale and living with fantastic ocean views. You will find beautiful beaches all over Kihei and magical mountain views, your own personal paradise is waiting for you. Shop for Kihei Condos for sale below or if you are interested in foreclosure homes for sale in Kihei, click here.